Used Peugeot 206 Review - 1998-2009 | What Car? 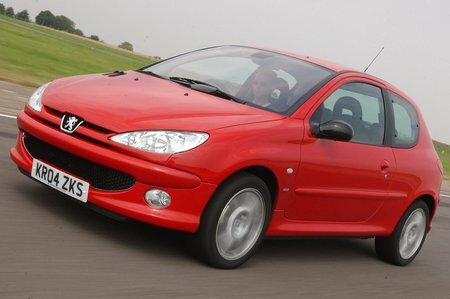 What's the used Peugeot 206 hatchback like? If you like the Peugeot 206's looks, you'll forgive it almost anything. If not, you'll find that there's not a lot to be terribly happy about. The number one complaint is the dreadful driving position. The seat itself is short of support, which is bad enough, but it also seems impossible to avoid an uncomfortable straight-armed, bent-kneed position. Taller drivers especially will find themselves in cramped discomfort. The cabin is also something of a disappointment, less attractive than both the 206's exterior and several of the car's rivals. To make matters worse, the space it provides is no more than reasonable. At least the boot's a decent size and shape, though. The 206 is certainly not the best supermini to drive, but it's far from bad. The ride is generally supple, and the handling can be entertaining, if not a match for the class-leading Ford Fiesta.